It’s amazing the impact that a single missing tooth can have on a person’s oral health and confidence. That one gap can easily cause a person to think twice before smiling or taking a large bite of food, and at the same time, it also makes them much more likely to experience gum disease and additional tooth loss! Fortunately, dental implants in Massapequa can fully restore a smile’s strength, function, and appearance at the same time by providing the most lifelike replacement available today. Why Choose Dr. Allan S. Mohr for Single-Tooth Dental Implants? When it comes to replacing missing teeth, dental implants are in a class of their own. They are the only treatment that actually restores both parts of a tooth: the root and crown. A small titanium post is placed into the jawbone to act as a new tooth root, and this is used to support a porcelain crown that shows in the smile. The procedure to get an implant involves two main phases: placement and restoration. After a consultation with Dr. Mohr, he’ll refer you to one of his trusted specialists to position the post within your jawbone. After being given time to heal (during which the implant will physically bond with your jaw), you’ll return to Dr. Mohr to receive your custom-made crown. In just a matter of months, that pesky gap can be gone forever! Natural Appearance: Dental implants look just like real teeth because they are built like real teeth! Between their two-part structure and a specially-designed porcelain crown from Dr. Mohr, the final result is virtually indistinguishable from a natural tooth. 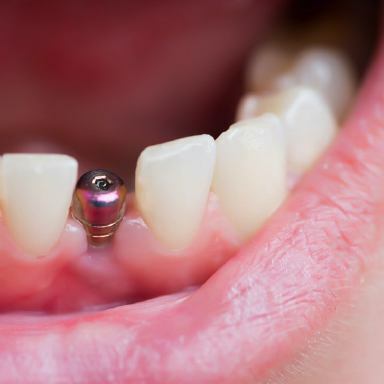 Stability: Because an implant is anchored directly into the jawbone, it has a hold and security that traditional bridges and partial dentures simply can’t match. It will stay firmly in place whether you’re speaking or enjoying a nice piece of steak. 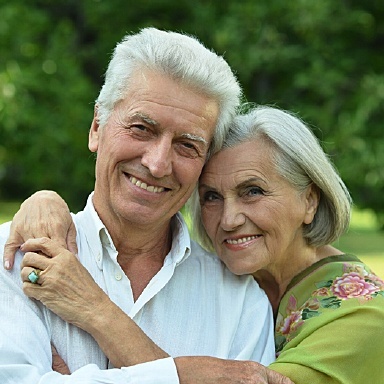 Longevity : With the proper care, which only consists of routine oral hygiene, a single dental implant can be trusted to last for 30 years or more. Bone Retention : Jawbone atrophy is a very common side effect of tooth loss, and dental implants are the only tooth replacement that can stop and even reverse this process. As a result, an implant can prevent the remaining teeth from shifting out of place (which happens often) and maintain healthy bone to preserve the overall shape of a patient’s face. If you’re interested in getting a dental implant so you can enjoy your complete smile again, all you have to do is call your Long Island implant dentist, Dr. Allan Mohr, to schedule an initial consultation. At this appointment, he’ll let you know if you’re a good candidate for the treatment and even outline what your implant process will entail. Explore the before and after cases below to see the beautiful transformations Dr. Mohr creates every day at his practice. When you're ready to make the change in your life you deserve and makeover your smile, contact us for a free consultation. We also offer affordable monthly payment plans for dental implants, as low as $199/month. Dr. Mohr has already helped countless patients reclaim their smiles and their confidence with dental implants, and he can do the same for you. All it takes is just one phone call. To schedule your implant consultation, contact us today.